C/ Pinsapo s/n, urb. 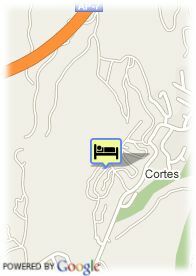 Paraiso Alto, 29670 Benahavis, Spain. Colina del Paraíso is a newly built self-catering urbanization set in the enchanting location of El Paraiso, 10 minutes west of Puerto Banus, nestled in the hills offering complete privacy and tranquillity. Within close proximity of the complex are long stretches of beautiful coastline and some of the best beaches in Europe. Colina del Paraíso strives to offer a world of comfort, leisure and relaxation, where you can also enjoy our onsite sport facilities like swimming, tennis, practice driving range, paddle tennis and a fully equipped gymnasium. The Costa del Sol is also known as the Golfers Paradise, as along the coast you have the choice of 86 marvellous Golf Courses, many within a few minutes drive from Colina del Paraiso. Notice: Check-in from 4 pm. Check-out till 10 am. For arrivals later than 6 pm please contact the hotel previously in order to inform the time of arrival. PROMOTION 2009 in semidetached apartments and houses two weeks for the price of one. Not available neither for the top-floor apartments nor from 16/06 to 14/09. Free covered parking at the hotel. For older children and adults 6.00 € for each additional bed is charged.